Yoshi Figurine. . Wallpaper and background images in the Yoshi club tagged: yoshifigure. I actually saw this figurine in a gaming shop one day! i have that figurine! and 5 more yoshi figurines. 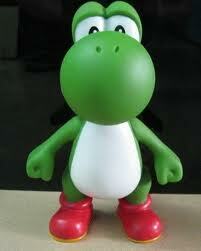 i have a lot of yoshi toys!